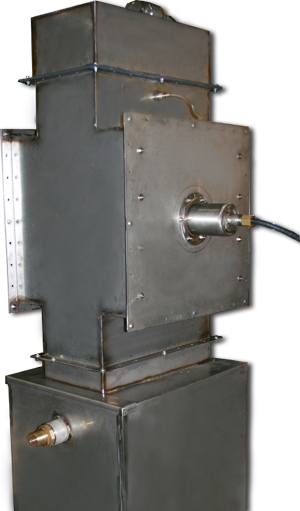 The reactor consists of high voltage string electrodes and earthed plates made of ordinary stainless steel contained in a stainless steel or plastic box. Water is fed to the reactor in a shower mode, no intense turbulence or fog spray is needed. Typically, minimum air flow-through is necessary for just replenishment of oxygen consumed by chemical reactions. Pure oxygen supply may be organized one-way without gas outlet. There is no need in gas cooling and drying, which is essential to ozone synthesis in conventional ozonation process. The WAPULEC device originates from the experience in dielectric barrier discharge system "Impulse" used for the treatment of groundwater containing iron and manganese, and natural organic matter. The "Impulse" system has been applied to more than 100 facilities mostly in Russia.